A map is a great way to show your supporters where you are and who you serve. It helps to reinforce that you don’t do business in a vacuum, and especially for online based businesses, it helps to take you global. 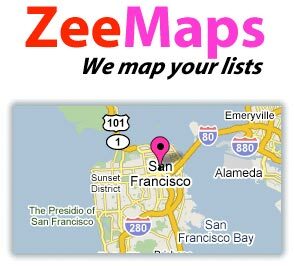 Zeemaps is a great online tool that easily lets you add a visual map for your office locations or clients served. It’s a great element to add to your contact us page or presentations that introduce you to new prospects. You just enter the city or province name, and the software does the rest.